Dust - Written by Steven T. Seagle. Art and Cover by Ken Hooper & Barbara Kaalberg. 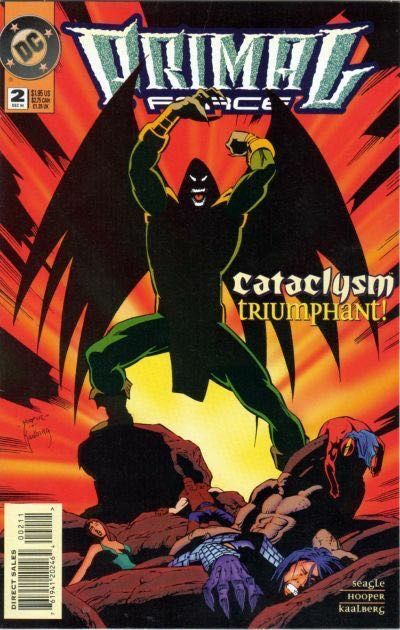 The end of the world is at hand as Cataclysm devastates Primal Force and stands ready to draw the power he needs from the Earth itself in order to cement his victory. All but broken, the Force is poised to oppose Cataclysm again...but this time, not every hero will survive the attempt! 32 pages, full color. Cover price $1.95.